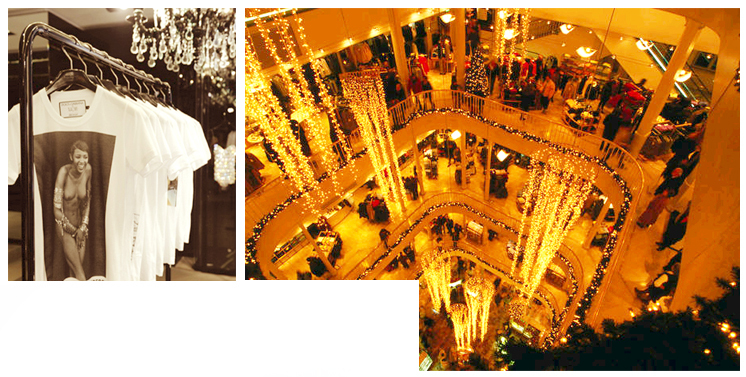 Shopping – it’s not just a pleasant pastime, but also an art. The word shopping is most commonly associated with multi-faceted Italy, the country called as “the idol of style and imagination” or “mecca of the world fashion”. After all, none other than Italian women and men are considered to be the most extravagant and extraordinary! This procession began somewhere in the 80s of the last century when the world opened up Valentino, Armani and Versace! The three whales which keep Italian fashion! Of course, Italy gave us many famous designers who loved to please men and women all over the world with their innovation, original solutions and design delights, transforming it all into clothes. Yes, Italian fashion is, first of all, comfort, elegance, irresistibility and exclusivity. And what else is needed to us? Clothing has always been and will be an indicator of a status; it shows the world our current mood, our thoughts and our desires. So, what we wear, characterizes us as individuals. Fashion is inseparable from us. Do you know why Italian designers are so popular and are favorites of the world? Italian fashion is different from French, American and British fashion because with all its beauty and uniqueness, it is closer to real life. Italian designers create with having in mind real people and practicality, while the others focus more on the concept of “glamor”. Even the most exclusive and luxurious Italian clothing is easy and comfortable to wear. Fashion for Italians is one of the everyday life concepts that they are willing to discuss as vividly as politics, movies and art. Some designers literally live in the galleries. It is known that the apartment of Giorgio Armani is on the floor above his boutique where he often comes down to greet guests and clients in person. If you ever visit Italy, then in the future you will always be able to easily separate from the crowd and recognize Italian fashionistas. Italy is known for its constant experimentations with thу clothes, and at the same time this clothes still remains extremely stylish and with a twist! Ask Italians about the secret of their style? They will not answer, and not because of the vow of silence but only because they have no answer to this question, it’s in their blood, more accurately speaking, fashion is a part of their own. Even the most unusual “carelessness” in the style of Italians does not confuse but pleasantly surprises. One of the examples is their wearing shoes on bare feet. All the Italian shoes are of genuine leather, do not have insoles, as well as any sealing. Legs are “breathing” in the shoes bought in Italy. By the way, you will be able to distinguish Italians from other Europeans exactly by shoes! No wonder they got the famous “boot” on the world map. Walking the streets of Milan or Rome is like you are wandering through the museum of shoes. A scarf, which has always been one of the most important accessories of Italian fashionistas, sticking out from under the jacket, turns you from an office worker into a street madcap. Despite the Italians’ passion to experiments, it will never violate the general harmony of style. What about accessories?! – Yes, Italians pay great attention to accessories. And it is impossible not to mention the glasses, another little weakness of Italians. Shoes, scarfs and fashion glasses – all these pieces are a kind of “fetish” for them. The first steps in the history of Italian fashion are to be traced from 1951 and were made by Florentine marquis Giovanni Georgini and his famous ‘home’ defile that made the American newspapers be filled with the headlines: “Italy is a hurricane to challenge France. The victory is rapidly approaching”. Italians appeared to be right and it happened the way they predicted! Since then, Italy is the Olympus of fashion world. Today there is no need for Italy to advertise, because this “boot” on the map is the advertising itself and it touches with harmony and love for the beauty. So it’s time to pick up your bags and go into the world of designer boutiques and fashion shows, the world of fantasy and sophistication. And if you will need a good piece of advice, the personal shoppers, which are so popular in Italy, will be happy to assist you! Milan, Rome, San Marino, Rimini, Florence, Venice, Bologna, Naples, and Turin – all these cities have the biggest concentration of shopping centers in the world, and you are always welcome there! Milan is known as the world capital of high fashion with its boutiques of the famous Italian brands such as Armani, Louis Vuitton, Dolce & Gabbana, Gucci, Prada, Versace and Roberto Cavalli. Every year Milan shows new collections at Milan Fashion Week which brings together all the known fashion designers in the world. Going to Milan, by all means visit Via Monte Napoleone which is a famous fashion square. All the clothes go in here directly from Milan runway shows. You will discover brand department stores, big outlets, exhibitions and sales. Leaving Milan, do not forget about the famous passage called Galleria Vittorio Emanuele II, where you can hardly pass by the luxurious boutique PRADA, which is always overcrowded. Half of an hour drive from Milan is another Italian city – Turin – where you can combine sightseeing and purchasing of the stylish Italian clothes. Turin has a variety of pieces from such well known brands of clothes, shoes and accessories as Prada, Armani, D&G, as well as you can also find some little-known but high-quality brands that attract a younger generation. The most popular shopping center in Turin is La Rinascente. Those who love to shop at the time of sale, arrived to the right city, as sale and discount time here last much longer than anywhere else. 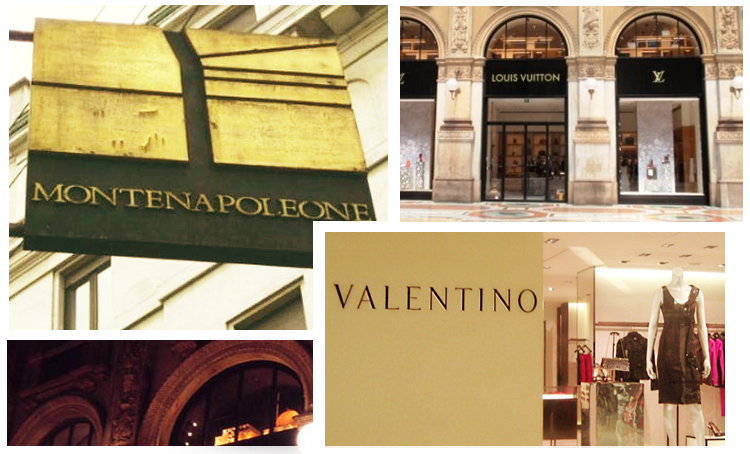 Everything in Milan is being sold out very fast because the city is popular among tourists! There is an outlet of Armani, outside the city of Turin, which sells pieces from deluxe collections with 30-70% discounts and pieces from the collections of the current season with 20-30% off. Fantastic, isn’t it?! “All roads lead to Rome”, as the old proverb says. 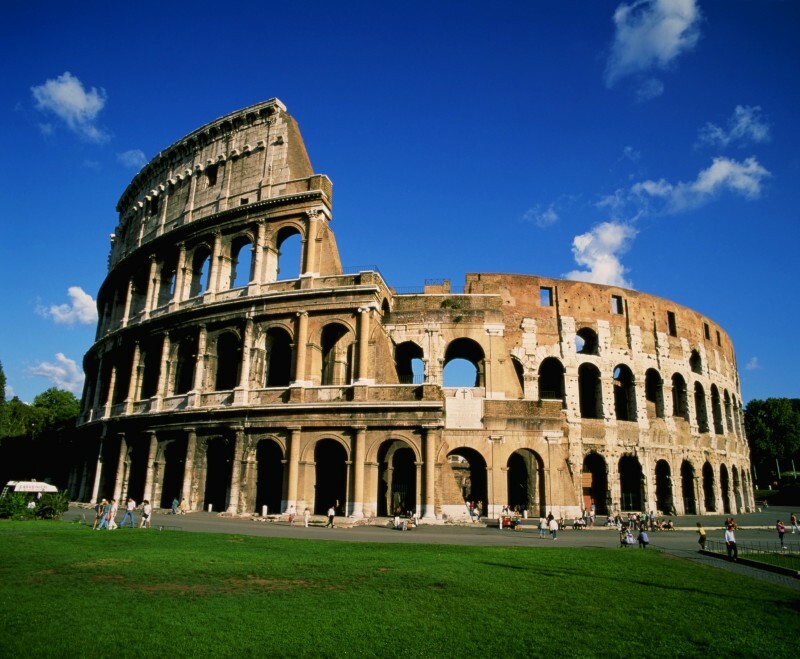 Rome is the capital of Italy, and the second city after Milan in regards to the variety of shopping opportunities. You will be able to find in Rome everything your heart desires: brands of famous designers, outlets with year-round discounts, and even some vintage shops! Another advantage of local shopping is that the air here is saturated with history, every shop and every gallery has its own legend. We would recommend you a stroll along the main shopping street in Rome – Via del Corso and, of course, pay attention to the gallery Alberto Sordi which became the first real shopping center in Rome. If you do not chase for exclusive designer clothing, the city of Rimini and San Marino are for you! Here you can buy quality Italian clothing at moderate prices. There is also a large number of outlets located in 10-20 meters from each other. It is better to visit shops in Rimini at the end of the trip because there are not so many of them here. Exclusive brands are represented in the city of Riccione, with the boutiques from Gucci, Armani, Baldinini, Max Mara, etc. Bologna is the main commercial center of Italy where you can visit various exhibitions of shoes, furs, cosmetics, as well as learn more about new products directly from the manufacturers. If you are in Bologna, then you should visit Castel Guelfo Outlet City, where your spirit will lift up immediately after seeing that great variety of clothing from last season’s collections of famous designers together with huge discounts. If suddenly you get tired of shopping in Bologna – feel free to go to Milan, which is only an hour from Bologna. One more piece of advice is – if you want to discuss the latest trends in fashion or shopping – Italians are more than open to such discussions, so feel free to start a conversation! They are very friendly and do not skimp on the praise if see you in something new and original. It is so sweet and funny when you see two adult Italians, dressed and look like bosses of big companies, who stand in the street checking what brand is written on the labels of the suits of each other. 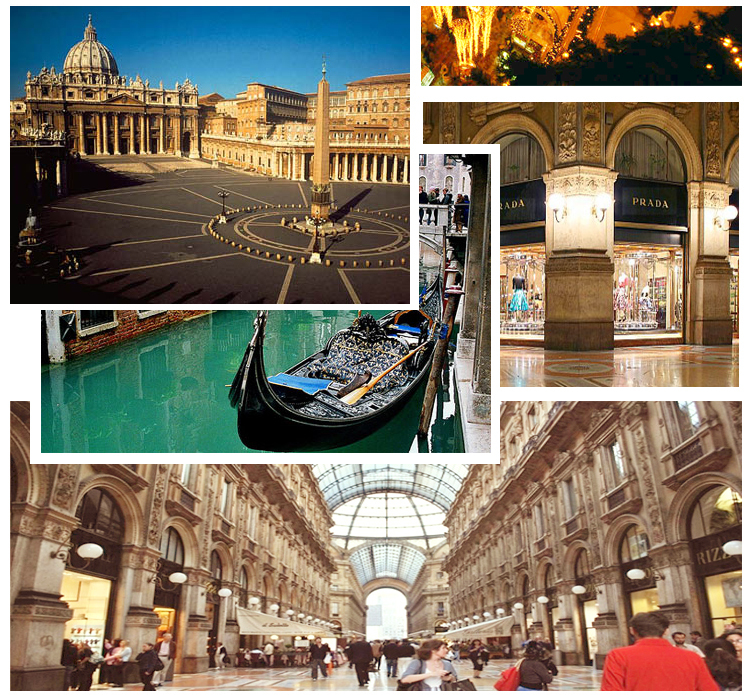 The world of fashion in Italy is always the unforgettable experience! And you will have a wish to come back here again and again. Well, is the luggage already packed? Then we wish that all the lanterns of fashion streets would light up for you in this fantastic country named Italy!